Shopping for clothes on the Internet just isn’t my thing. I don’t have a “normal” body shape (but isn’t that true of most of us? ), and depending on the brand and fit, I can wear clothing that ranges anywhere from a size 0 to size 8. Trying things on in store is critical for me. Reluctant to order an expensive fair trade shirt online only to find that I have to pay to ship it straight back due to it not fitting, I set out in my car a few weeks ago to find fair trade clothing in my home city of Raleigh. 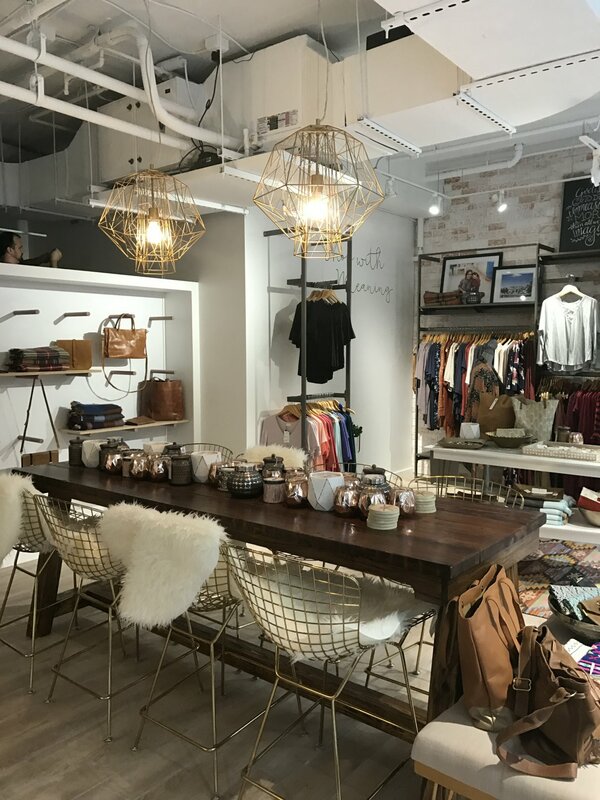 The number of brick-and-mortar stores selling fair trade clothing in Raleigh (the second largest city in North Carolina, I might add) is underwhelming at best. 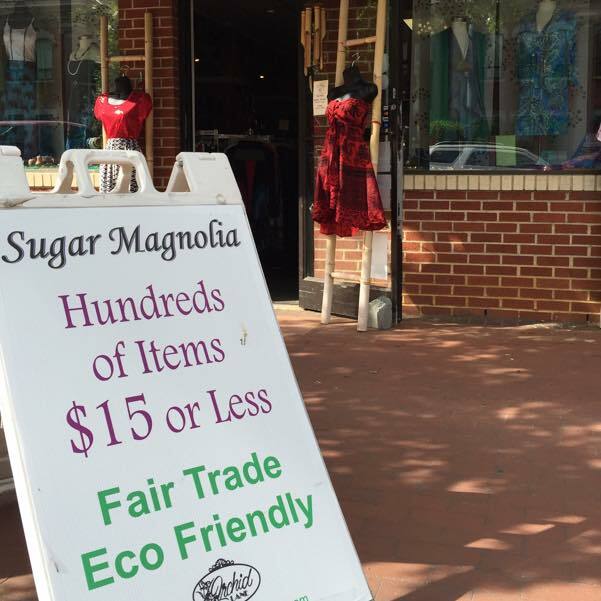 Google searches only turned up one store: Sugar Magnolia, which is located on Hillsborough Street near NC State’s campus.